In the coffee world, consistency is the secret key to making a great cup of espresso again and again. However, with so many espresso machines on the market, which one allows you to create that delicious and memorable cup? Today I want to talk about semi automatic vs. fully automatic espresso machines, in terms of how they’re similar, how they’re different, and their capabilities. Let’s not waste any time and explore both fully automatic and semi automatic espresso machines to see which one will be best for you. If you want to maintain a bit more control over the brew, a semi automatic espresso machine would be right for you. 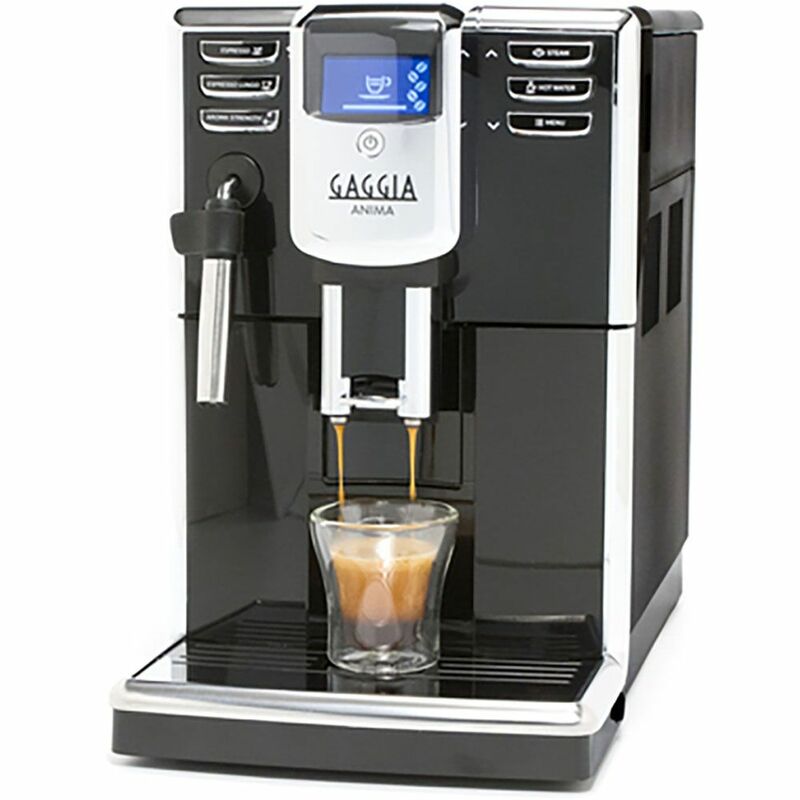 Semi automatic espresso machines controls the pressure and temperature of brewing. However, the length of brew time is completely controlled by you. You will also have to grind and tamp your espresso yourself. Once you have finished that, you can start the extraction using a release valve. Some machines will have a milk steamer and frother for you to brew a cup and fits your craving. There are two classes of semi automatic espresso machines: manual control and programmable doses. Manual Control: Using this kind of semi automatic espresso machine allows you to adjust the extraction process of the espresso shot. Typically you should allow extraction of 20 to 30 seconds, but you can experiment to find a brewing method that suits your style. Programmable Doses: Using this kind of semi automatic espresso machine allows you to program the extraction time and stop precisely at the time you want it. If you know what works to brew the perfect cup, you’re just a button away from consistently delicious cups of espresso. Did you know? Semi automatic espresso machines are typically used for commercial use. They are designed with several group heads which can produce shots of espresso very quickly. What could be better than an espresso machine that works with the flip of a switch to instantly satisfy your caffeine itch? A fully automatic espresso machine will have pumps, sensors, valves and grinders which can automate the entire brewing process. These machines have a flowmeter which controls the amount of water passing through and turns off with the right amount to brew your cup of espresso. Before you believe that automatic espresso machines handles the entire brewing process, remember that you will still be required to manually grind and tamper your coffee beans. Want a machine that takes all those worries away? Its misleading to believe that an automatic espresso machine controls the entire creation of espresso. However, a super automatic espresso machine does just that, much like the fully automatic machines out there. These terms are fairly interchangeable, so be aware that out there in the marketplace, you’re liable to see both and they’ll have similar features. Super automatic espresso machines have the mechanisms built in the machine to grind, tamper, and extract an espresso shot. With a machine like this there are only two things you have to do to enjoy a quick cup of espresso. The first thing you to do is ensure that the coffee beans and filled in the bean hopper. The next thing is to keep the super automatic espresso machine connected to a water line. After that, you can hit the on button and eagerly wait for your espresso to be made. By the way, there are some super machines that can automate both milk frothing and dispensing. If you’re a lover of the cafe latte or a creamy cappuccino, a super automatic espresso machine may be the best for you. You now know a bit about the three different styles of automatic espresso machines. Now, let’s take a look at their benefits and any possible drawbacks. 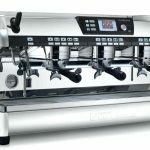 Semi Automatic Espresso Machines: These tend to be the most popular type of espresso maker and arguably the best for brewing quality cups of espresso. You have complete control over the pump which allows you to adjust the strength and flavor of your espress. Drawbacks: You have to grind and tamp the coffee yourself. If you’re a true barista, this isn’t much of a drawback. Having a high quality grinder is essential when using a semi automatic espresso machine to capture the complete range of espresso flavor expressions. Also, there is a bit of a learning curve to using a semi automatic espresso machine. To avoid this, consider using one of the automatic espresso machines. Drawbacks: Fully Automatic espresso machines can be more expensive but there are affordable alternative out there (see below). As well, for any lazy espresso people, you may have to grind and tamp the coffee bean unless you get a super automatic espresso machine. Finally, some espresso enthusiast argue that the quality of espresso is significantly reduced in the process of automation. Ready to choose an espresso maker for your home, office, or soon to open cafe? Here’s a quick list of some of the best automatic espresso machines on the market. Keep your eye out for the auto type to decide whether semi or super automatic espresso machines are what you need. 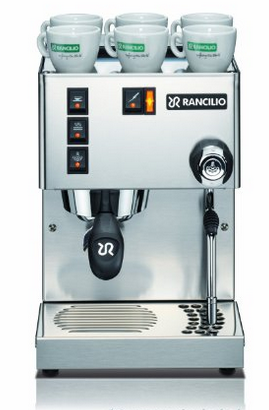 If you’re looking for a single boiler semi automatic espresso machine, the Rancilio Silvia comes with commercial grade quality. The fancy exterior and stylish design includes a commercial group head allows for optimal extraction and heat stability. 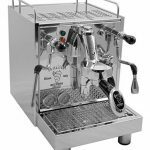 Inside the stainless steel compartment are brass components to make this espresso machine powerful, reliable and one of the best semi automatic espresso makers on the market. For what it’s worth, you’ll be qualified to serve the finest cups around. 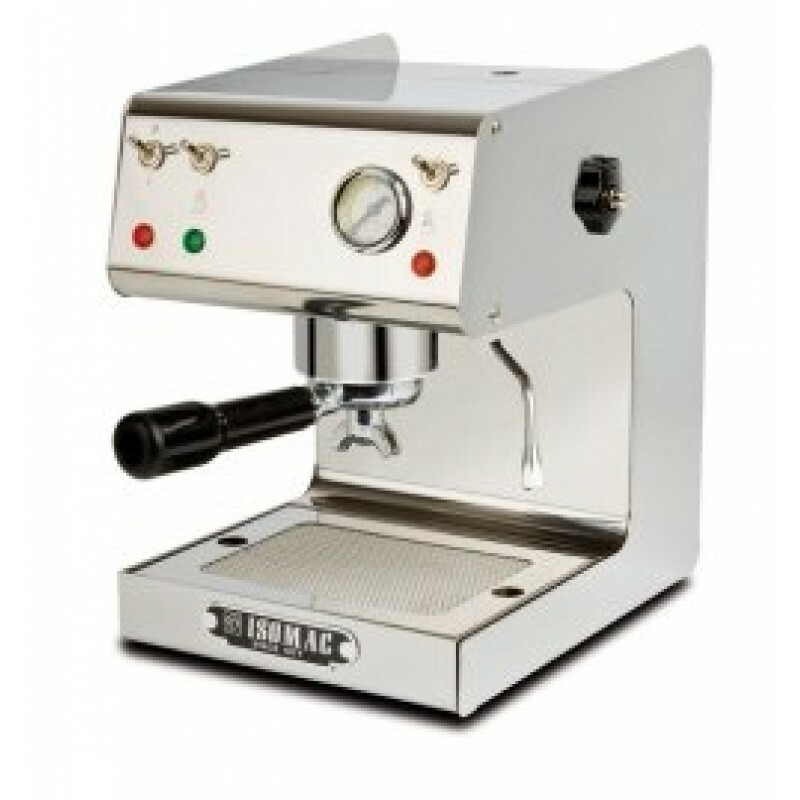 The Isomac Maverick is a high quality automatic espresso machine with a big boiler and twin coffee spouts. Inside this machine is a PIP system which regulates the temperature to ensure that you cup of espresso is always close to perfectection each and everytime. Also attached to the machine is a steamer so you can create your favorite creamy drinks. One thing to note is that you’ll have to grind and tamp your own coffee however this machine produces outstanding shots of espresso. Highly recommended. 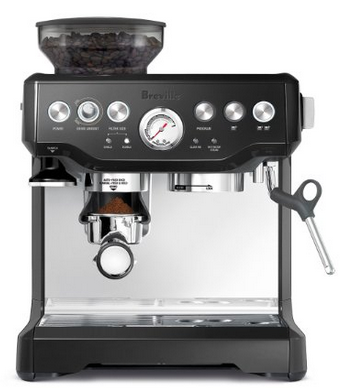 Using the Breville Express Espresso machine will never disappoint. It’s easy to prepare a cup of espresso with just the press of a button. Everything is controlled by this espresso machine, including the grinding, dose level, tamping, extraction, and brewing. 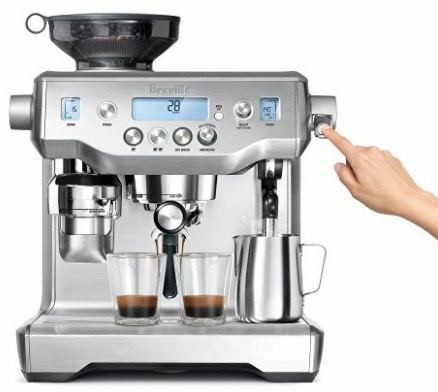 If you’re looking for a quick cup of espresso, this Breville super automatic espresso machine lives up to its name. Getting a semi automatic espresso machine can be intimidating if you don’t know how to use it. The Gaggia Classic is a semi automatic espresso machine that’s perfect in price and performance for those learning how to brew. This machine is made with solid stainless steel and is the perfect entry level espresso machine for a family’s home. The budget friendly pricing sets this espresso machine apart from the rest on this list and the quality that comes out is incredible. A must have for those curious about becoming an espresso barista in their own homes. Here’s an award winning espresso machine that’s built with some incredible technological features. 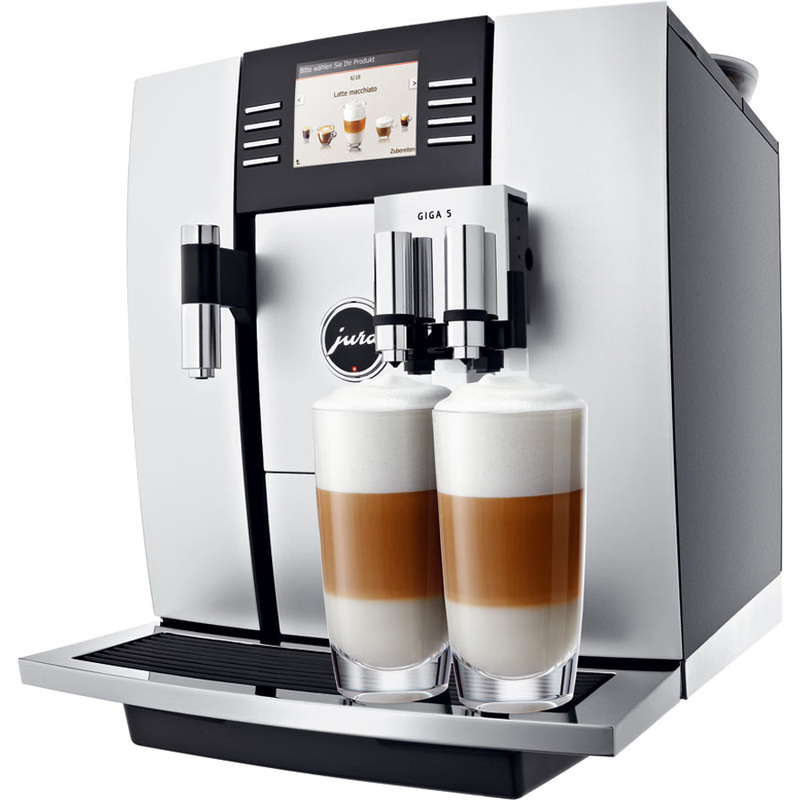 The Jura Giga is a super automatic coffee machine with a fully operational, Thin-Film-Transistor front screen display. 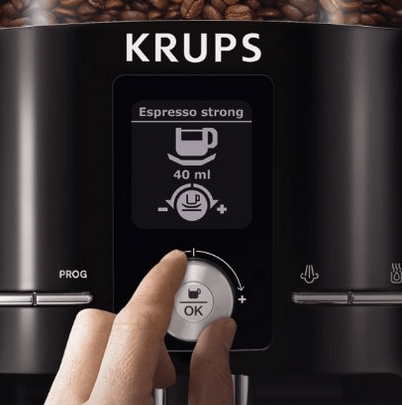 On this screen you can individually program 19 speciality coffees like espresso, cappuccino, latte macchiato, or everything else you love, and brew them with a single touch. This super machine includes two sets of grinders and brewing chambers to separate two types of coffees that can be made at the same time. This machine comes with a giga price tag which may bust the budget for most espresso machine shoppers. 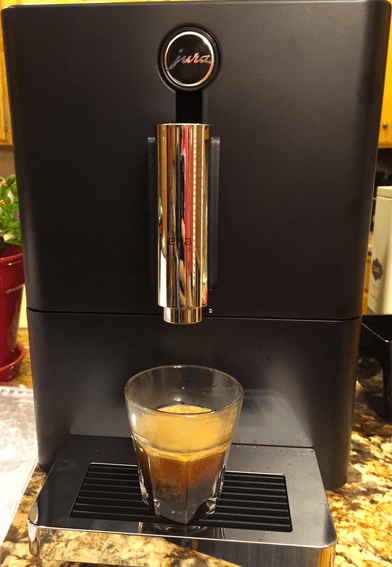 The features on this super automatic espresso machine are unbelievable, however for a more affordable espresso maker there are many more on this list. Not as pricey as the previous machine, the Rocket Giotto Evoluzione is semi automatic espresso machine with a quick performance. Included in this espresso machine is a heat exchanger which allows you to brew an espresso and steam your milk at the same time. If you’re the type concerned about energy consumption, it’s thermal design allows you to save up to 22% on energy costs. 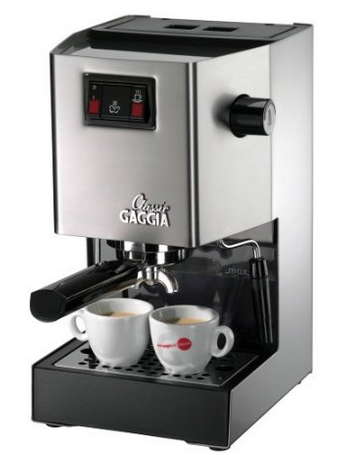 For a quality performing semi espresso machine, this would be ideal for a home or a cafe. In case the previous Jura machine scared you away from purchasing a high quality espresso machine, take a quick look at the Jura Ena Micro 1. This super automatic espresso maker is compact, convenient, and well constructed. Inside the Jura Ena is an adjustable burr which automatically grinds your coffee bean and prepares it for extraction. This is the perfect machine to give as a gift because it’s compact size and sleek design makes it the perfect fit on the kitchen counter. By the way, if you want to make come chocolatey drinks, you can also brew a rich belgian hot chocolate with this. For a fully automatic espresso machine the Krups Espresseria seems to brew each cup with cafe quality. This convenient espresso making machine is the perfect size to use in your home or even at the office. It’s fully automatic setup requires only a hopper full of bean and a water source to brew. If you’re looking for a machine with a milk frother attached, the Krups comes equipped with it. 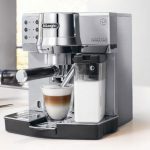 Of all the espresso machines on this list, the Krups Espresseria comes with one of the best price tags to make a shot of espresso with the press of a button. Espresso is a special drink that unquestionably varies in brewability. Semi automatic espresso machines are the go to brewer for those seeing control over the espresso expression. These machines are typically more affordable and there are a range of machines available for both home and commercial use. On the other hand, after a hard day of work or a home full of attention seeking children, having an automatic espresso machine provides the convenience and quickness to enjoy a shot of espresso. The super automatic espresso machine takes all your worries away and as long as you keep the beans in the hopper and the water flow connected, you’ll always be a button push away from your favorite caffeine drink. 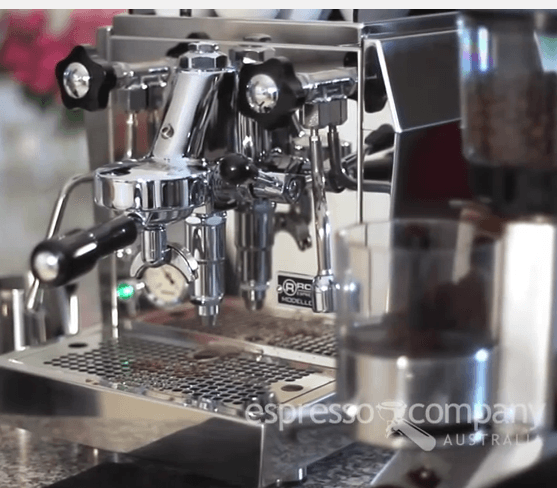 How Does an Automatic Espresso Machine Work?